Today's recipe is like most of the recipes I share here - quick, easy and of course, dee-licious. I love a good salad recipe. Here in Sydney, it seems like the coldest days of winter have passed. The days are now feeling more like Spring and we can once again enjoy a lovely salad for lunch. 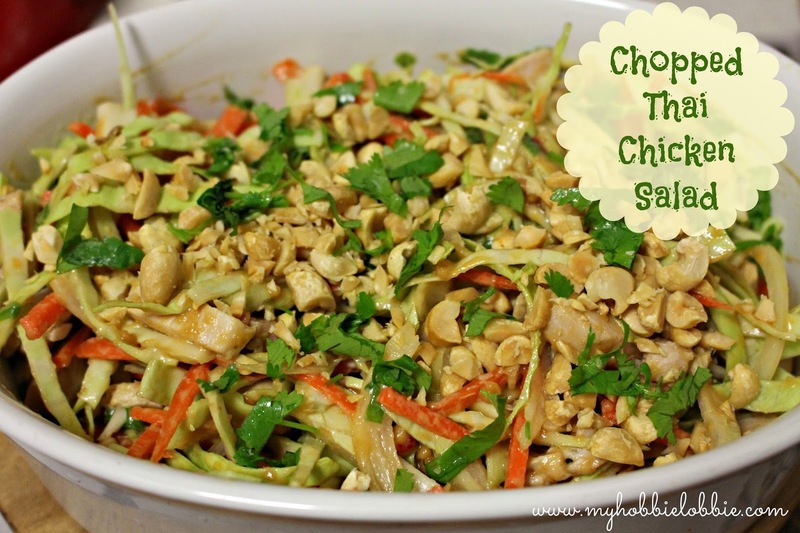 For the last couple of days, I've been feeling like whipping up a salad with a different flair and so while looking online for inspiration, I came across an easy to make Thai salad recipe. I knew that this was the recipe I was looking for. How? you ask. Well, the latest season of Masterchef Australia (which ofcourse, is my favourite source of food inspiration) had a challenge dedicated to Thai food and a lot of the contestants whipped up their versions of a Thai salad. When I saw this recipe, it seemed like a good opportunity to try my hand at a Thai recipe :) I'm all for new experiences and new flavours and cuisines. And this recipe did not disappoint. It had lovely flavours, a range of textures and I was in love with it. Even my husband, who might not agree with all my opinions on food, loved this salad. So if you have a hankering for something a little more complex than a basic salad, try this recipe out. You'll be glad you did. The original recipe called for green papaya in the salad, but I didn't have any and just decided to leave it out. So basically this salad is just what its name suggests, you chop up a bunch of ingredients, whip up this really yummy dressing, toss it together and sit back and enjoy a really scrumptious bowlful. :) This salad is definitely going to make an appearance atleast a few more times this spring and summer and every one from now on. Feel free to switch up the greens based on what you have. I used some leftover roasted chicken, which I chopped up roughly, but you could use some poached chicken or if you have leftovers of store-bought rotisserie chicken that would work too. For a vegetarian version, leave out the fish sauce and the chicken and it would be just as good. Toss all the salad ingredients in a bowl after keeping aside a little coriander and some peanuts for garnishing the salad. Pour the dressing over the salad and toss well to coat the salad with the dressing. 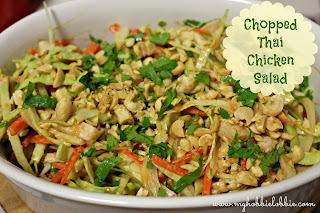 Sprinkle the reserved crushed peanuts and chopped coriander over the salad to garnish.